Our Cave is a great company that offers an extremely unique product—the ultimate in modular storage. In fact, I’d say it takes modular to a whole new level. These modular bays offer all the durability benefits you need in a home garage. If you want to extend your living space, these are the products for you. What I mean is, you can easily and affordably turn your garage into a space that’s comfortable to work and play in, with these awesome modular bays. Even if you don’t need to extend your space—if you just want durable storage that doesn’t attach to your wall, these modular bays are great options. If you’re renting or just like to move things around every so often, this might be the product line for you. Another reason I love Our Cave modular bays: they can make any active family feel like you’re going shopping in your garage when it’s time to play (image of bays with adult and kids sports gear like helmets, bikes, skis, etc). Easily see everything you have at a (super tidy) glance, that you may want to play with on any given day. I mean, come on. What could be better than that? 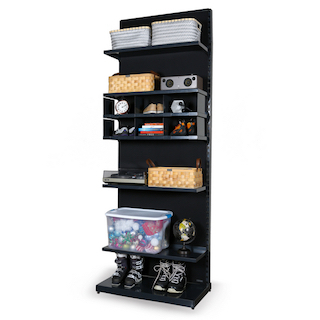 The Shelving Bay keeps your belongings organized with full customizability, features adjustable garage storage racks and shelving, and the option to add cubbies. 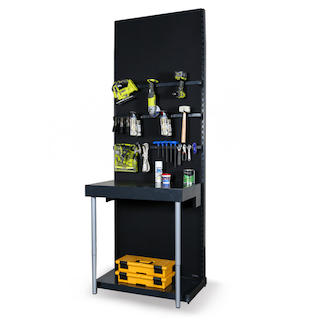 The Workbench enables you to customize your garage work bench to your individual needs – and make easy adjustments when those needs change. 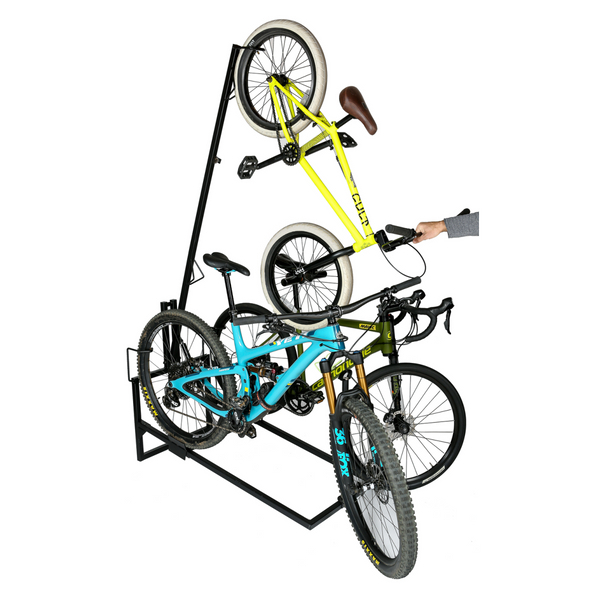 The vertical wall bike rack provides bike holder hooks for 4 bikes of all sizes and features fully adjustable bike storage rack hooks you can position at any height! 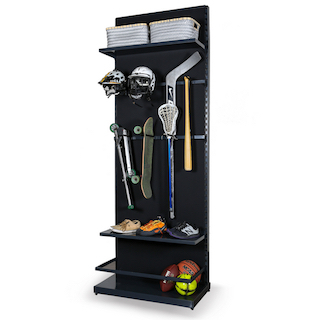 The Sports and Play Bay keeps your sports storage organized & tidy, giving each piece of equipment its own place so you can find what you need easily. Is it time to get started on your garage makeover? Give me a shout.